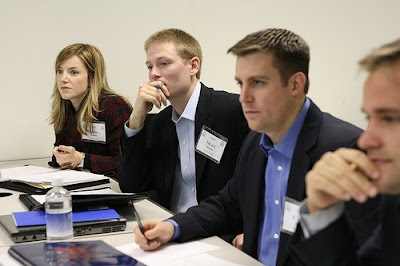 Through the hard work of Mike Midgett, Class of 2008, we held our VCIC Internal competition. 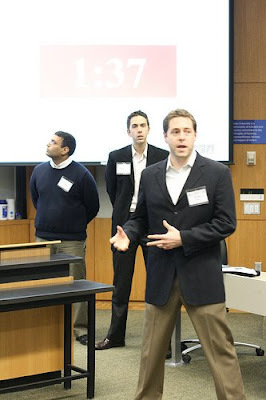 We had over 15 students participate and compete in this "Be a VC for a day" competition. It was a great event, and the winning team handled themselves well, particularly when in the firing line of our guest judges which included local VC's and angels. A wonderful learning experience for all. Not only does Mike deserve credit for putting on this program, but he also deserves credit for leading the VC101 and VC 102 sessions that helped prepare students for the event. Great job, Mike!